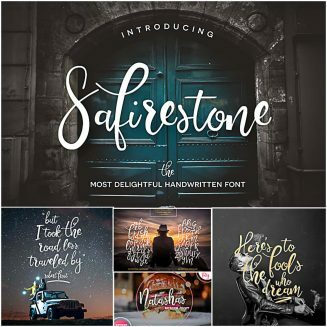 Introducing Safirestone -delightfully hand-crafted font that guarantees to make your designs pop! It’s fat-to-thin brush strokes and bouncy baseline give it a fun and flirty aesthetic perfect for typography quotes, greeting cards, branding, and more! 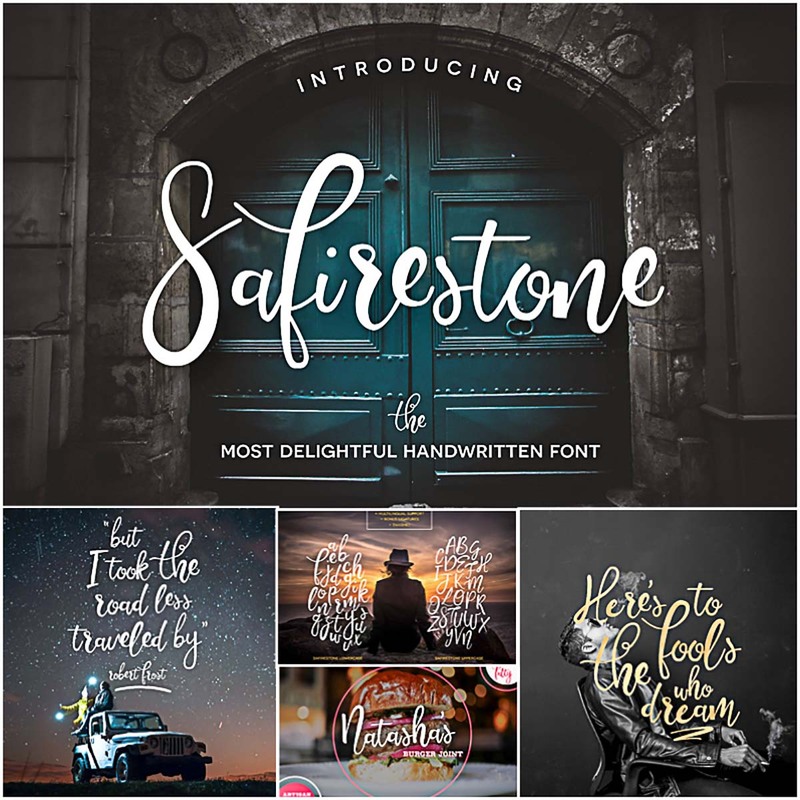 Tags: calligraphy, handwritten font, lettering, ornaments, script, swash.